As the banking industry changes, one generation finds itself at the center of these debates: millennials. In this post, you will pinpoint 15 of the unique challenges of banking millennial customers and learn how to address those challenges at your financial institution. Plus, you'll get a chance to win $150 by a completing survey about the state of compliance in 2018! It's that time of year again - time to prepare for success in 2019! From new technologies and more disruption, to changing regulatory imperatives at the local and national level, we imagine that 2019 will look a lot different than 2018 did. A key factor driving these anticipated changes is consumer behavior, and in particular, millennial behavior. As the largest generation in America at 83.5M people, millennials represent an important customer base for financial institutions. In this post, you'll explore the unique challenges banks, mortgage companies, and credit unions face as you work to attract, engage, retain, and grow with millennial customers. The definition for "millennial" is flexible. Most define the generation as people born between approximately 1981 and 2000, but some notable research groups do have different definitions. In general, you can think of millennials as people who are in their 20s and 30s today. For what it's worth, I'm a millennial, and can say that a lot of the statistics I found while researching this article did ring true for me. There is a wealth of research on how, where, and why millennials bank. In this post, we will be talking about those nuances of providing financial services to millennial customers by following the typical buyer journey. If you think about your banking products and services in terms of how a millennial customer is likely to find, evaluate, and decide on it, you will find that there are unique challenges for your financial institution at each stage. Different generations tend to behave differently at each of these stages, and millennials are no different. Let's dive into those 12 unique challenges, organized by stage of the buyer journey. In the Awareness Stage, most challenges boil down to the fact that attracting millennial customers is quite difficult. Challenge: Millennials don't have a high opinion of banks in general. According to one infographic from the American Bankers' Association, approximately 71% of millennials would rather go to the dentist than listen to what banks are saying. That's an eye-opener! Challenge: Millennials have different banking needs than other generations. Millennials tend to have more debt than other generations, which has a big impact on how we make financial decisions. The average amount of debt carried by American millennials is $29K, and 75% have student loan debt. Lots of millennials have eschewed credit cards - around 65%, according to one study. Even though they tend to be wary of credit and credit cards, more than half of millennials would finance an emergency with their credit cards. Challenge: Millennials interact with brands differently than other generations. In a basic sense, millennials use different media than banks have traditionally used. The average millennial checks their phone 43 times per day; assuming that we are getting 8 hours of sleep, that means we look at our mobile device almost three times per hour. When I think about my phone usage, that seems a little low. Five out of six millennials interact with companies on social media. If you're not on social media, you're missing an important way of connecting! That said, it shouldn't just be a sales channel. Social media needs to be a way to build trust and provide help, otherwise, your company may just look "silly" or even "creepy." Read this blog about 5 social media strategies for success to learn more! Challenge: Lots of market competition, particularly from megabanks and from non-banks. There are a plethora of online banks, non-banks, FinTech, and megabanks out there, all competing for millennial dollars. For specific problems, millennials may be using stand-alone apps rather than an add-on product from their financial institution. Challenge: Millennials make financial life decisions on a different timeline than other generations. Many millennials are not yet ready to buy houses and start families, but will be at some point. While only 26% of millennials are married by 26 years old, more than 70% want to get married, more than 74% want to have children, and more than 90% want to own a home. Our top financial priorities are paying down debt and saving for the future. Tips for approaching these challenges: You can address these challenges by putting yourself in the shoes of millennial customers, and trying to empathize with their situation. Take a human approach to talking to them about financial problems. 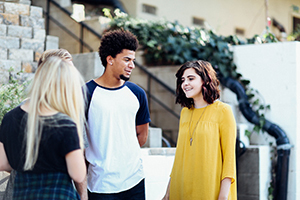 Talk to friends and colleagues in your community who are millennials, and listen to what they have to say about banking and your financial institution in particular. At the awareness stage, emotions and empathy play a large role in attracting customers. For example, is there a way to provide innovative products and services that can do a better job of helping millennials in an emergency situation than a credit card? You'll also want to be where millennial customers are, having conversations and providing content about finances on social media, forums, and trusted websites...more on that next. In the Consideration Stage, financial institutions face challenges because millennials want to engage with them differently than other generations. Challenge: Millennials tend to prefer mobile app and online banking. Of all generations, millennials are the most likely to use both online (92 percent) and mobile channels (79 percent), and they use those channels more frequently, according to Gallup. "What's most important to me in choosing a bank, assuming reasonable fees and charges, is accessibility," said Harrison Shaw. "I want a bank network supported by a physical branch presence where I can go to learn about new products, but more importantly, a strong online interface and an effective mobile app." Katie O'Brien also emphasized the importance of an app, saying "when considering banks, I would make sure they have a working mobile app. I would say 95% of my personal banking is done using the app, whether that be transferring funds, depositing checks, or even just being able to check my accounts with a click of a button. Although I don't use it much, I do still need cash for certain occasions. In those cases, it is always nice to have branches and ATM's in a convenient location to be able to access one when need be." Challenge: Millennials look for extra clarity and insight into their finances from their financial institution. More than 61% of millennials say that having access to an app helps them manage their finances better. A recent study from Deloitte revealed a variety of different moments in a millennial's financial life when they could use a helping hand. Sixty percent reported little or partial confidence in planning for and achieving their goals, while 35% explicitly said they need help. Another 68% asked for help in determining how to pay for a goal or create a savings plan. While just over a third said they would lean on a financial institution for help at this point, that number could rise as financial institutions build trust with millennial customers. Challenge: The products and services that millennials are looking for may be different than what a financial institution offers. More than 65% of millennials want digital budgeting tools from their banks. If your institution can add something like that, it could help sway a millennials decision to work with you. More than 85% of millennials are saving some portion of their income every month. Are you offering products to help millennials save money and build wealth? Challenge: Millennials highly value recommendations from family, friends, and trusted sources. More than 4 out of 10 millennials say it's important to them to bank with the same institution as their parents or other family members. Challenge: Millennials are used to being able to get things instantly, from a car share to a support agent. Millennials prefer to use instant communication options, like chat, to talk with brands and resolve questions and comments. Like most Americans, we also prefer text to phone calls in most situations. Tips for approaching these challenges: It's important to "fish where the fish are." Are you using media channels in a way that maps to millennial media consumption? Social media may be important, but that's not the end of the story. 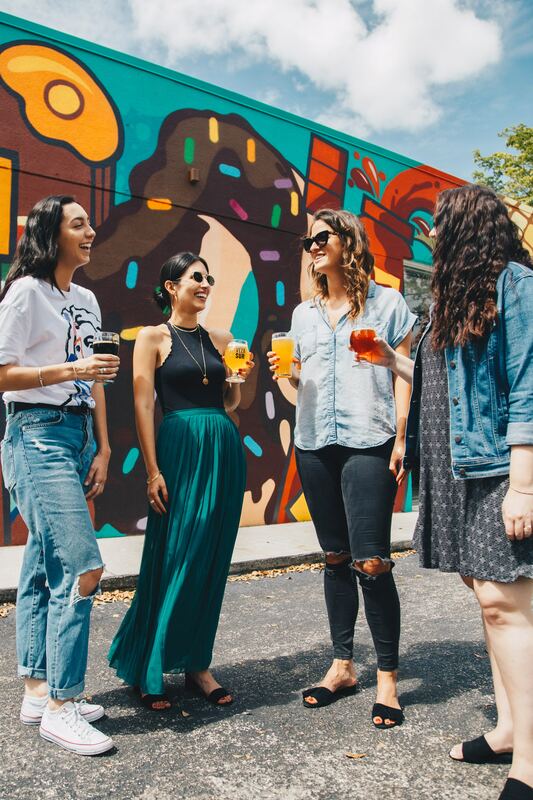 Millennials are active online, happy to share both good and bad experiences, and closely connected to friends, family, and trusted sources. You might want to consider referral programs for families and friends, or something similar that can help current customers spread the word to millennial prospects. It's not just about real-life friends and family, though. There may even be local podcasts, brands, athletes, or media sources that are also widely trusted by millennials that you could work to partner with. As a financial institution, you may also be able to gain an edge in the consideration process by providing helpful, practical content on channels that allow you to build trust and relationships with millennials. In the Decision Stage, the main challenge is that millennials have high expectations and put their money where their mouth is. Challenge: Millennials have high expectations for products and services, searching for minimal fees and great customer service. Millennials tend to be frugal, especially when it comes to fees. Approximately 93% reported that no-fees banking is important when choosing a financial institution. Our greatest frustrations with banks tend to be difficulty resolving problems (55%), standing in long lines (37%), and technology failure (33%). Challenge: Millennials tend to be values driven, and will work with companies whose values align. Around 46% of millennials think it's important to work with local businesses, if possible. More than 60% would consider using a local bank or credit union if we were in the process of changing financial institutions. For local institutions, there is potential to attract millennial customers, if products, services, and technology stack up. Challenge: Millennials are willing to change financial institutions. Millennials are 2 to 3 times more likely than other generations to switch banks. 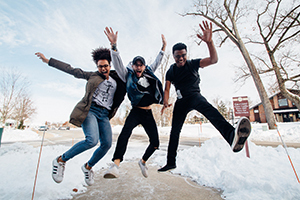 Even though we don't want to do it - 64% of us reported that we would rather do anything else - millennials are more willing to change financial institutions than other generations. In fact, more than 80% of millennials would switch banks if offered more or better rewards. Challenge: Millennials don't always understand the unique value their financial institution does provide. In fact, approximately 53% of millennials don't think that their institution is unique compared to other financial institutions. Challenge: Millennials are really comfortable with disruption. Approximately 68% of millennials believe that the way we access our money will be entirely different in 5 years. 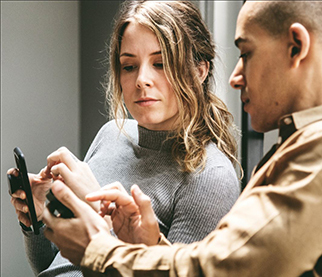 Tips for approaching these challenges: When millennials are making decisions about financial institution partners, things like mobile apps that were once a bonus are now a requirement. Beyond high standards for technology, millennials will also prioritize trust, values, and innovation. In addition, millennials do have some fears and anxieties about managing money. If financial institutions can help address some of those emotional considerations by providing truly helpful products and services, millennial customers are likely to respond favorably. TRUPOINT Viewpoint: If you're wondering why we, a company that primarily offers compliance software, is interested in millennial banking, it's because we take a holistic approach to compliance and growth. We believe that changes to consumer behavior will probably lead to changing compliance priorities, pressures, growth strategies, and more - all things that are central to our business and the our customers. Take the survey here today! It'll only last for about 15 minutes, and you'll get a chance to win $150 gift card.